Being a mom who is concerned about skincare, I find multitasking products to really come in handy when I don't have much time to devote to my skincare routine. Some nights I have all the time I need to complete all the steps i want to include, others - I'm lucky if I can get my face washed! Reviv Serums has created a Telomerase Serum that takes care of six skincare concerns with the use of just one product! Full size product photo supplied by sponsor. 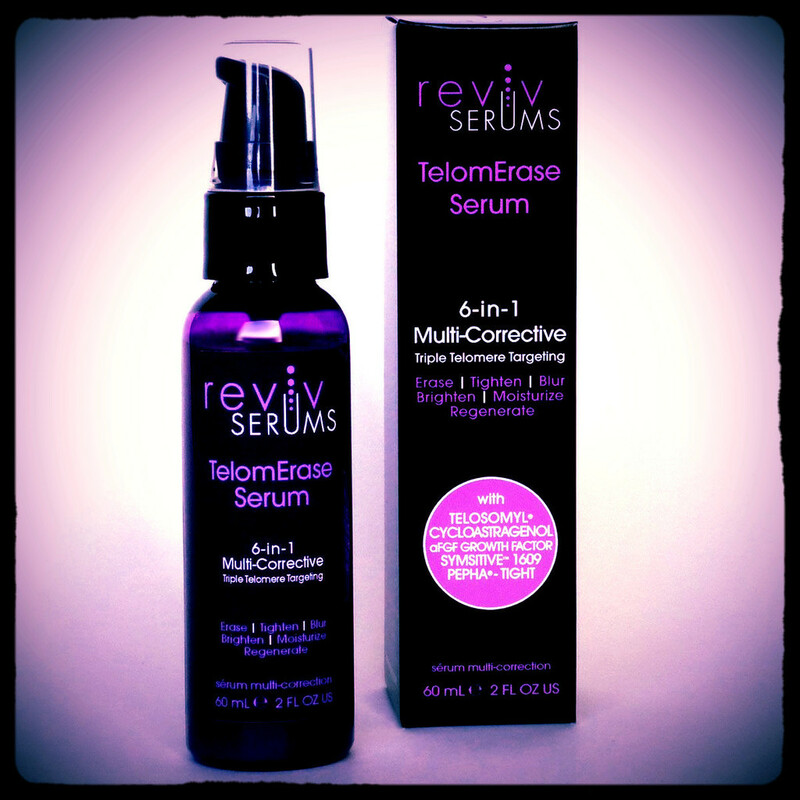 The TelomErase Serum is a 6-in-1 multi-corrective serum that erases, tightens, brightens, blurs, moisturizes and regenerates the appearance of dark circles, fine lines, sun spots, redness, pore size, and firmness. I was sent this product for free, for the purpose of providing an honest review, and sharing my experience with you. I received two sample-sized vials of the TelemErase Serum from Reviv Serums, and have tried it out daily for the past two weeks. A little goes a long way, and it absorbs into the skin quickly. I've noticed this product does a good job at keeping my under-eye area brighter and makes my fine lines unnoticeable. I have noticed my hyperpigmentation is lessened, but I cannot say that it was caused by this product alone, though I'm sure it has helped. From now through December 31st (2015) Reviv Serums is offering 10% off at RevivSerums.com with the code TIGHT10. Enjoy!